Mass Story Campaign is a participatory storytelling project designed by storyteller, educator, and cultural organizer, Piper Anderson. 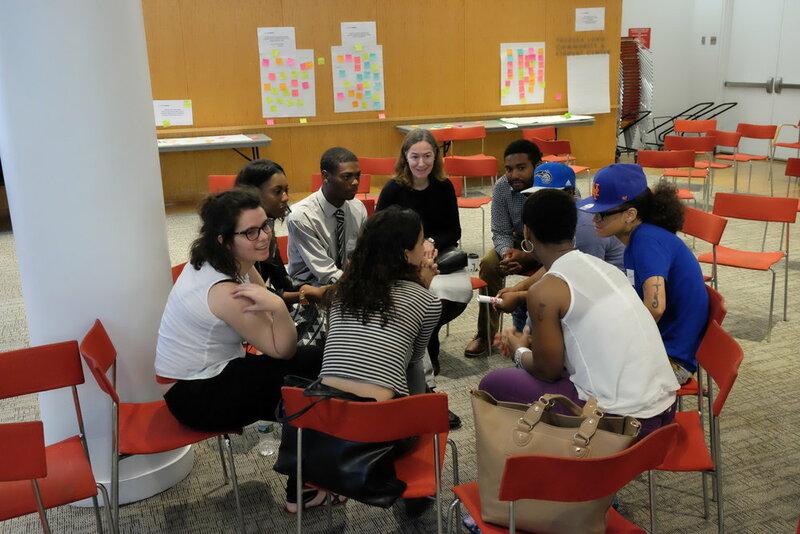 Mass Story Lab aims to make stories an instrument of justice. 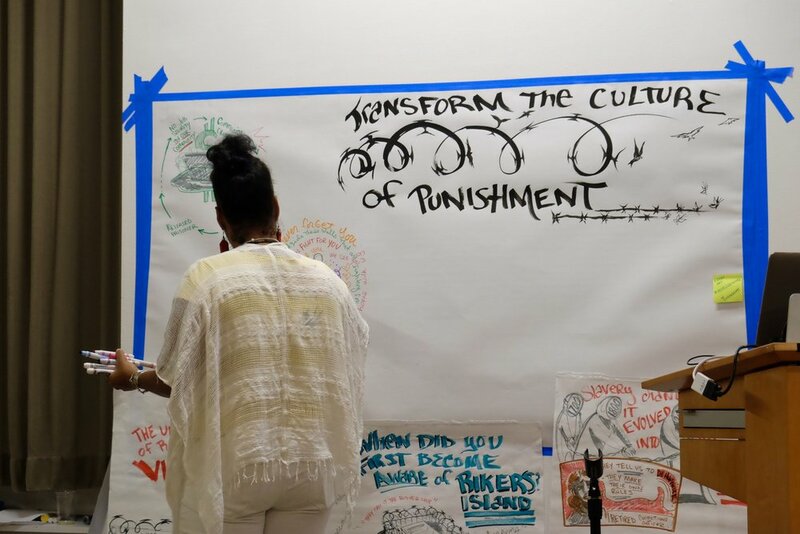 In a Mass Story Lab the stories of people directly impacted by mass incarceration become the transformative lens through which communities imagine a world beyond prisons. Mass Story Lab aimed to reach 20 U.S communities between 2016-2018. The first Mass Story event on June 29, 2016 was focused on Rikers Island in partnership with JustleadershipUSA and the #CloseRikerscampaign. Check out a report on the event here. Mass Story events are interactive labs for storytelling and collective strategy design. Story Agents share personal accounts of ways they've been impacted by mass incarceration, often focusing on a common theme or place (in this case, Rikers Island). The listening participants enter into dialogue and help to unpack the problems of justice revealed by those stories. Then everyone works together to creatively develop new strategies that lead to sustainable change for their community. Email community@MassStoryLab.com for more information on how to get involved. Piper Anderson is a writer, educator, and Founder/Chief Creative Strategist at Create Forward LLC, a social enterprise that designs creative strategies for social change. Inspired by her 15 years working on local and national initiatives to end mass criminalization/ incarceration, and violence, she launched the National Mass Story Campaign, which will host participatory storytelling events in 20 cities to repair the generational harm caused by racially targeted criminal justice policy. Currently, Anderson is a Professor at NYU’s Gallatin School and serves on the steering committee and faculty of NYU’s Prison Education Program. Her writings on race, education, cultural change, and criminal justice have been published numerous books and online publications. In April 2016 Piper Anderson joined the first class of TED Residents for the Mass Story campaign. Her residency will culminate in a TED Talk on the mechanics of using stories as an instrument of justice.